While 27-year-old Genard Dupree collapsed to the floor near the Central Florida Wal-Mart store entrance, clutching his chest, his friend, 30-year-old Tarus Scott, allegedly strolled out with a shopping cart stuffed with a motorized Power Wheels Barbie car, a LeapFrog tablet and a Barbie Glam Vacation House, authorities say, the New York Post reports. 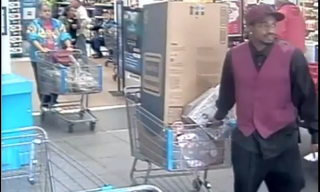 Dupree allegedly distracted nearby customers with his feigned heart attack, while Scott simply walked out with the toys, said to be valued at about $369, the Huffington Post notes. Apparently, once his friend got out safely, Dupree got up and walked out on his own, before they left together in a silver SUV. Polk County deputies soon caught up with them on Tuesday and took them in, however. Both men were arrested for grand theft. Read more at the New York Post and the Huffington Post.